and tears are words that need to be shed. happiness loses its brilliance and grief is endless. inside the pen that knows only to create . What a popular guy you are (and deservedly so)! Great expressive (an impressive) photo! Hi David, thank you very much for your lovely comment. I hope my blog doesn’t disappoint you. Your Welcome, and It won’t dissappoint me. I love this very much. Thank you very much. I hope my blog doesn’t disappoint you. This is absolutely beautiful and so very true! Thank you, I hope my blog doesn’t disappoint you. I believe you write from experience. A wise man knows people, but an enlightened man knows himself. Thank you for sharing this brother. Thank you very much. I really appreciate your comment and am humbly thankful. I hope my blog doesn’t disappoint you. It doesn not offend me at all. I enjoy reading everything you post!!! Keep going bro, and I’ll keep reading. I am astounded by your talent and wisdom. I have just read three poems of yours, and each one had such depth. There are times you sound like a prophet. We could do a lot worse. Thank you very much for your kind words. I am no one but a road wayfarer. Thank you for following my blog. I hope my blog doesn’t disappoint you. I wish the same for you. If you are a wayfarer, you are a talented one. No disappointments here. Exquisitely said, dear Subhan. Peace and joy to you! Thought evoking prose. Are these your words, your writing? Because they are as beautiful as Rumi words. The works of Rumi and Gibran are my source of inspiration, but I am a thousand miles away to get to the place they are now. You can see that the former is still a thousand miles away from the latter, right? This poem was written just for me at this time. Thank you. Oh, pleasure is mine. Hope everything is fine in your life or getting better. May happiness reside in the realm of your heart and love fills your soul with joy. IF WE DON’T GO THROUGH HARDSHIP WE CAN NEVER ENJOY REAL HAPPINESS! Amazing thought, Subhan. Our world is both verbal and non-verbal, and words are a way of expressing our emotions, just as are the idiosyncrasies of our body language. Thank you for your wonderful comment. I really appreciate it. Yes, you are totally right, some of the most exquisite feelings of ours are poetically expressed through words. Beautiful, yes we need both. Thank you very much. Yes, that’s right, we need both of them. Thanks Subhan, my blessing, I wish same for you. Thank you very much. I am glad my blog is of any use to you. I hope my blog doesn’t disappoint you and that you continue enjoying my blog. I will accept the award but please bear with me for a little while. Subhan, I cannot imagine being disappointed. I look forward to each day seeing the provocative and eye-catching images you share. Take care and may my happiness be with you. i lobe to read ur posts … 🙂 but i dunno why though i am following u , i am not getting ur updates on reader .. is there anything else i have to do additionally !!! Well that’s interesting. I suppose it should appear in your reader. But anyway, I am trying to make regular posts starting next week. You could expect me to post every Monday and Thursday. So if you’re not getting any of my posts on your reader or your email on those two days, please do come here for a visit. And if the problem persists, perhaps we could write a complaint to WordPress sometime later? Good luck with the job-hunt too! Did you get what you wanted? lovely day to u as well !!! which part of the world are u from ?? 🙂 I am originally from Indonesia, but am currently studying in Canberra, Australia. Thank you very much for your kind comment. I really appreciate it. Hi, Subhan. I nominated you for the Reader Appreciation Award! http://thebumblefiles.wordpress.com/2012/07/22/a-few-awards/ Best wishes! Hello, thank you very much. I will accept the nomination but please bear with me for a little while. Deep! Simple, yet deep! I love it! Oh, Subhan, this is brilliant! Blessings right back at you! Thank you, Jennifer. May happiness reside in the realm of your heart. You are absolutely right Subhan, and beautifully written. Thank you. A highly visual poem for us to contemplate and enjoy. This reminds me of Jay-z saying I can’t see em coming down my eyes so I gotta make this song cry. O’ my Father, to You I give everything…for I am Yours, and Yours alone. Yet You alone hast forgiven me of all of my folly. Resting Your feet upon this earth that Your hands formed. You who has put all things beneath Your feet, and it is by Your unfathomable love that all things were created. Let me never forget that it is by Your great love and mercy through which I was created. They fall to their demise; for who can stand against the one true God of all? And it was through Your breath that life was breathed into me. Who will stand before the lion and say that You are not Adonai? Who will stand before the lamb and say that He was never slain? Who will stand in the presence of Your Spirit and not be blown down? Not one; for all shall be humbled in Your glorious splendor and mighty power! When they have said, “There is no God!” You could have destroyed them. How long, O’ Lord, will You allow blasphemy and self-righteousness? And with the same hand many shall die by the sword of His Word! How long will Your mercy endure upon the godless and the whoremongers? For You are God; You are God alone. O’, who can stand in the presence of our Lord? Who can deny the omnipotent name of Adonai? Amen sister! God is the only truth. He lives! What wonderful day that will be when we hear the voice of our saviour. And we fly away! Oh, you need to read the first book…if you read Ezekiel, he speaks of wheels within a wheel whose outer edges are like beryl (bright yellow) with cherubs (who are frightening looking, yet from God) and how it spins around in the heavens, and moves very fast, and with a loud thunderous noise. Then we have Elijah who is raptured by the Chariot of Fire..with horses made of fire. My rendition of the glorious appearing is that the sky opens up and takes on the form of two enormous wheels, one within the other, with outer edges that are bright yellow. Out of it emerge millions of balls of fire (chariots of fire) and those who see the children of our Lord get taken see a bright flash like lightening. Those in the world who did not know Jesus Christ as their Savior who are left behind believe that aliens came and took everyone away because Satan, for hundreds of years (the master manipulator) throughout time has created such a device that the world has seen and labled as a UFO. Satan over the years has counterfeited God’s heavenly vehicle, knowing that this is what God would use during the rapture, so that people would be deceived into thinking they were taken by a UFO instead of raptured by the glory of Adonai. So in short, in preparation for this event, Satan has allowed people to see such a thing, and even those who have claimed to have had horrible testing done on them by demonic beings…it was demons! Satans counterfeit…the UFO. So when people see the return of Christ, it will appear to them as a UFO because they have only seen and heard of Satan’s counterfeit. If you study Ezekiel and all of the stories throughout the Bible about people getting raptured either to heaven, or to another place on the earth, the chariot of fire was always used. I like this very much. The simplicity of it is it’s beautiful and powerful -sparkling with clarity. And it got me to thinking in a different direction. I am one who finds words at times not so trustworthy, as silly as that sounds. I like my words to have voice. How do one give voice to written word without ‘quotations’? Give them ownership? Do I take away or diminish from your intent by giving ‘Words’ ownership? and my tears are words that need to be shed’. It’s a problem that also leaves me in perplexity, but I suppose you can create it that way, if you like. Or perhaps we need to consult to some experts on this? yes…very true…and poetically worded perfectly. 🙂 May your season of smiles be upon you. ‘Tears are words that need to be shed’ – wow, very well-written. You are so right, Subhan: both tears and words are needed to form the pathway to happiness! 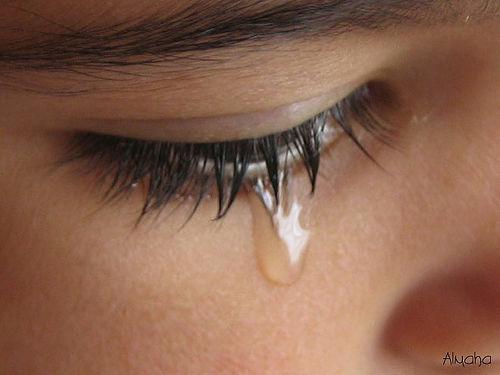 We need to let words and tears flow to cleanse the hurt and make room for joy! Nice, Subhan! Beautifully expressed. Thanks for the follow. I’m enjoying your blog. Hello my friend. I am so happy that you enjoyed it. I really appreciate your comment and I hope my blog doesn’t disappoint you. Without tears, happiness would lose its brilliance; very well spoken (I wish I’d thought of it first). Like a sweet ripe banana, everything you need conveniently located in it’s own container. Well done. Thank you very much, DSHolland. Such an enlightening message this morning my brother! Thanks for bringing your spirits light to begin my days journey! So true. Tears and happiness, two of the most valuable things. beautiful written, beautifully shared. Thank you. Thank you very much, Penny. Hope happiness reside in the realm of your heart and love give you warmth and happiness. Thank you Subhan, I hope the same for you. Thank you very much. Lovely day to you. Thank you, Blessings to you. Namaste. Very true my friend, very true. Unless we see the extreme darkness, we cannot truly appreciate the light. Thank you. Beautiful. What are the names of the books your wrote? Martyrdom Series…Soul Deceiver, Soul Collector, Soul Savior. My literary agent publishes best selling authors..so i’m excited when they come out! And God wrote them through me, through the Holy Spirit…so all of the world can hear is powerful message! Thank you Muse! Oh, you can read some sample chapters here http://lynleahz.com/category/blurbs-from-my-upcoming-trilogy/ Let me know what you think, and God bless you for the complement. Where can these be purchased? Youhave such a great way with words. God Bless You. Short, to the point, but with great meaning. good luck are you married?